.Type: Bolt Carrier GroupModel: BravoCapacity: 25 rdIncludes: Magazine..
CMMG''s AR drop in conversion kit allows you to shoot .22LR with the bolt carrier group from your 5.56/.223 chambered rifle. It is constructed of stainless steel and ships with a 10rd magazine.Type: Bolt Carrier GroupModel: ARCapacity: 10Includes: Magazine.. This AR converstion kit is made of stainless steel, includes a anti-jam charging handle, cleaning jag guide rod, forward assist adaptor, and a 25rd magazine.Type: Conversion KitModel: ARSlide Finish: BlackSlide Material: SteelCapacity: 25Max Capacity: 25.. The India has every single feature they offer for a semi-auto .22LR conversion. Kit Includes: Right Handed Stainless Steel Action, 22 ECL (Evolution Chamber Lock), Live Round Extraction, Buffer Retaining Pin Relief Cut, Piston System Compatible (without removing piston rod), Magazine Stabilizer, Bo..
Swapping your bolt carrier group with a CMMG Conversion Bolt Group takes only seconds to install and is piston compatible. This .22 Conversion Kit operates on direct blowback, and do not utilize the impingement tube for function. The Bravo Conversion Bolt Group base model is stainless steel and gene..
AR-15 .22LR Conversion Kit. 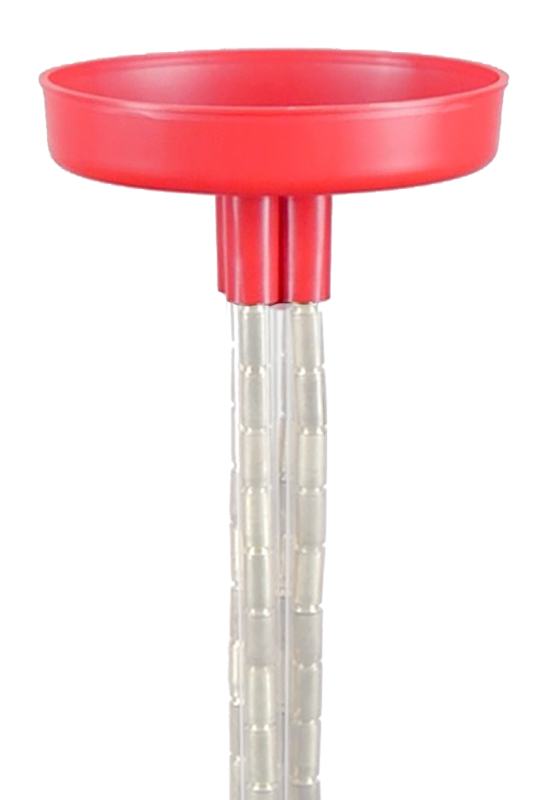 Model Echo Features: Stainless Steel Kit, Forward Assist Adapter, Stainless Steel Cleaning Jag/Guide Rod, Anti-Jam Charging Handle, Brass Bushing,2 25 Round Magazine, Piston System Compatible.Type: Conversion KitModel: EchoCapacity: 25 rd.. The MCK (Micro Conversion Kit) is the next generation of conversion kits from CAA USA. It is a lightweight and sturdy platform for various handguns and has a barrel shroud made of aluminum with a polymer body. 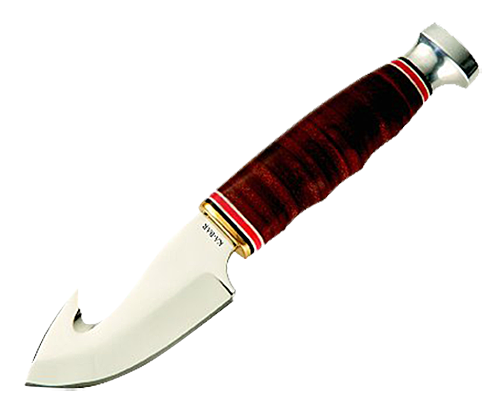 The stabilizer enables one-handed firing for better shooting performance. It also comes wi.. The CZ 75 Kadet conversion kit is a separate accessory for the CZ 75/85 pistol series allowing the firing of .22 LR caliber cartridges. The CZ 75 fitted with the Kadet .22LR conversion is the perfect training or plinking pistol with the slide weighted and balanced just like the CZ 75. Like its cente.. This P-07 Kadet Kit conversion kit is designed to swap onto current P-07s and older P-07 Duty pistols. It enables shooters to train using .22 LR ammo. 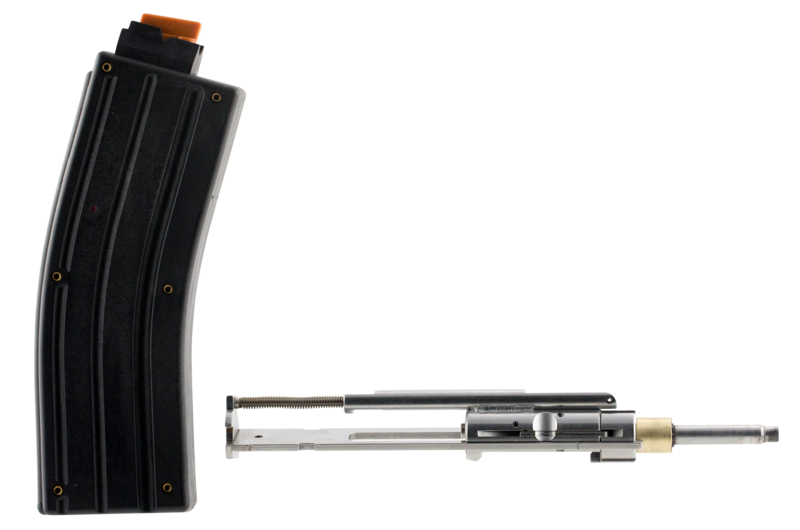 With a 10-round magazine and fully reciprocating slide, function will be identical to the host pistol in factory form, just with ligther recoil and l.. 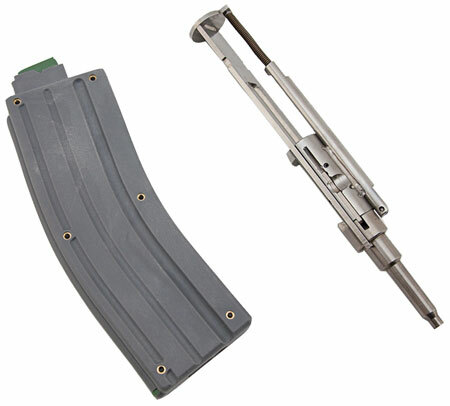 These kits feature a stainless steel barrel assembly and loading device to carry two extra rounds in the gun''s grip. 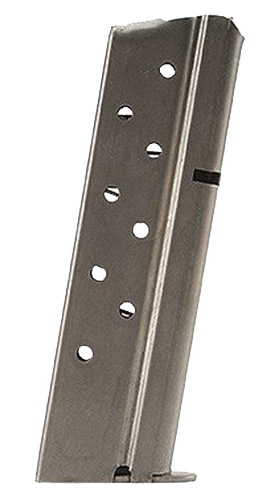 This kit quickly converts your current DoubleTap derringer to either 45 ACP or 9mm.Type: Conversion KitModel: 9mmBarrel Length: 3.0"Barrel Material: Stainless SteelBarrel Finish:.. 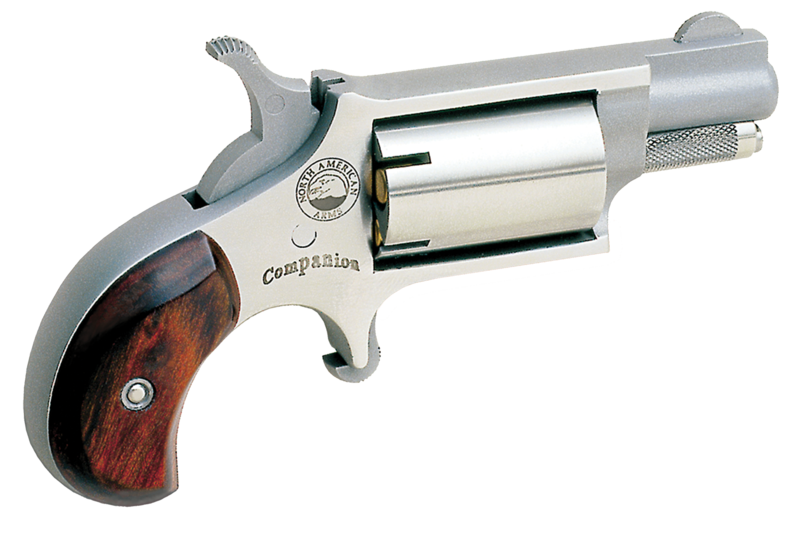 These kits from feature a stainless steel barrel, ported to reduce muzzle flip and recoil. Each conversion comes with the barrel assembly and loading device. This kit quickly converts your current DoubleTap derringer to either 45 ACP or 9mm.Type: Conversion KitModel: 9mmBarrel Length: 3.0"Barrel .. 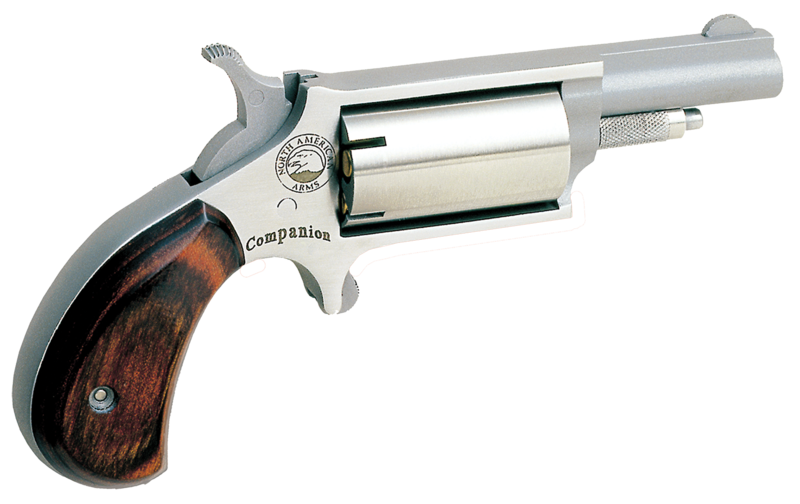 Type: Conversion KitModel: 45 Automatic Colt Pistol (ACP)Barrel Length: 3.0"Barrel Material: Stainless SteelBarrel Finish: BlackCapacity: 2 rdIncludes: Loading Strip.. These kits from Heizer feature a ported barrel assembly and 2 Heizer loading devices. They quickly convert your current DoubleTap to 45 ACP or 9mm with a ported barrel to reduce muzzle flip and recoil.Type: Conversion KitModel: 45 Automatic Colt Pistol (ACP)Barrel Length: 3.0"Barrel Material: St..
Save on ammunition costs, hone your shooting skills, and just have fun. 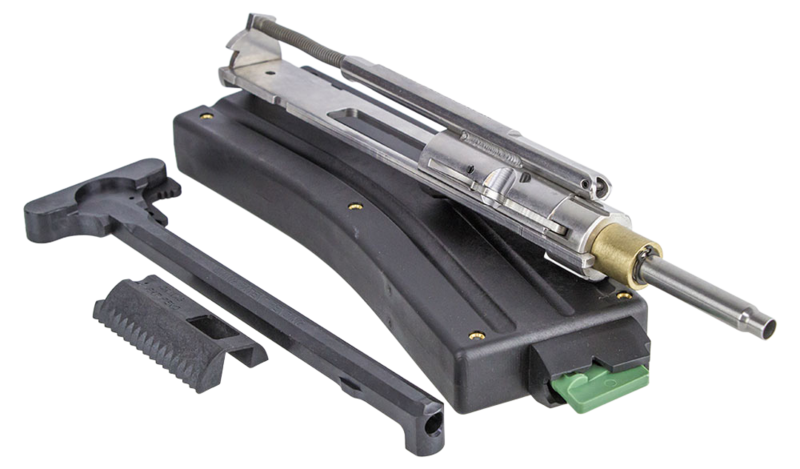 The 22LR Rimfire Conversion Kit is avaliable for Sig P220, P226, and P228/ P229. 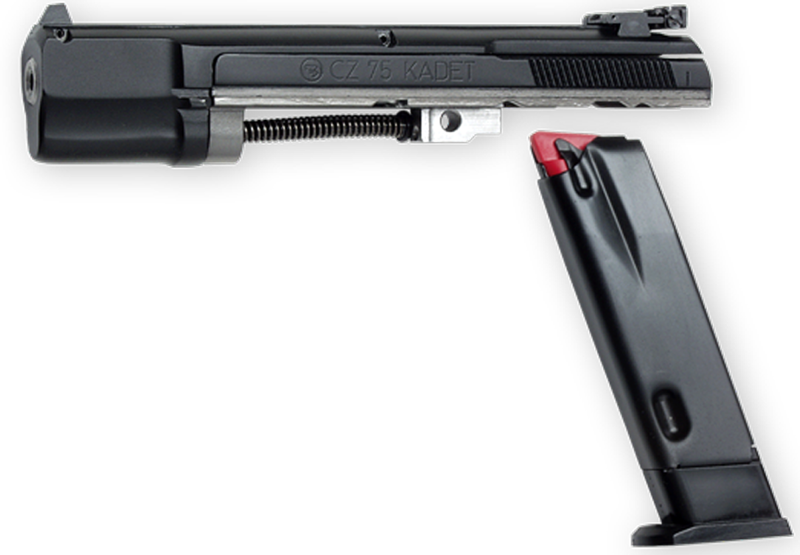 A complete replacement assembly, the rimfire conversion kit installs as easily as field stripping the pistol. 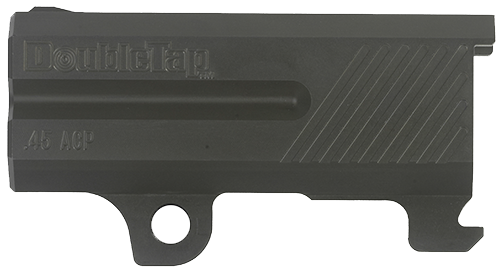 Simply remove the standard slide asse..
A complete replacement assembly, the rimfire conversion kit installs as easily as field stripping the pistol. Simply remove the standard slide assembly, slide on the rimfire conversion kit, add the included .22LR magazine, and you''re ready. Features adjustable target sights and comes complete in a ..